The United States Supreme Court will hear arguments in the case Adoptive Couple v. Baby Girl next week. 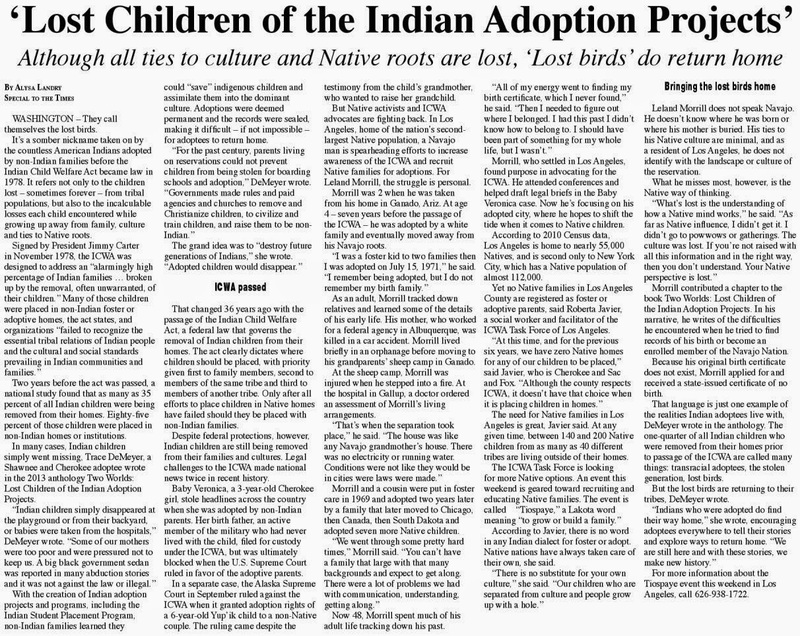 The case could have long term effects on future adoptions of Native children. 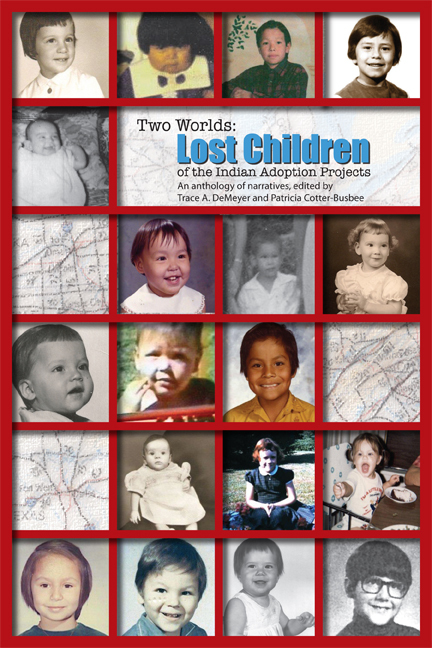 The child, a member of the Cherokee Nation, was given up for adoption by her non-Native mother without the consent of the father. At the heart of the Supreme Court case is the Indian Child Welfare Act (ICWA), which regulates adoptions of Native children outside of their tribe. We're taking a closer look at this case and what it means for Native America. How might the outcome of the case impact families or tribes? 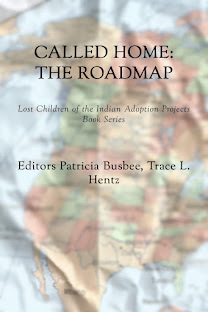 What's the role of tribes in the adoption process? Guests include Chrissi Nimmo (Cherokee) Assistant Attorney General for the Cherokee Nation. NOTE: I had a meeting so I missed this program. Click on the links and listen. 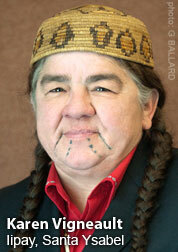 Terry Cross from the National Indian Child Welfare Assoc. did call in - so glad he did. 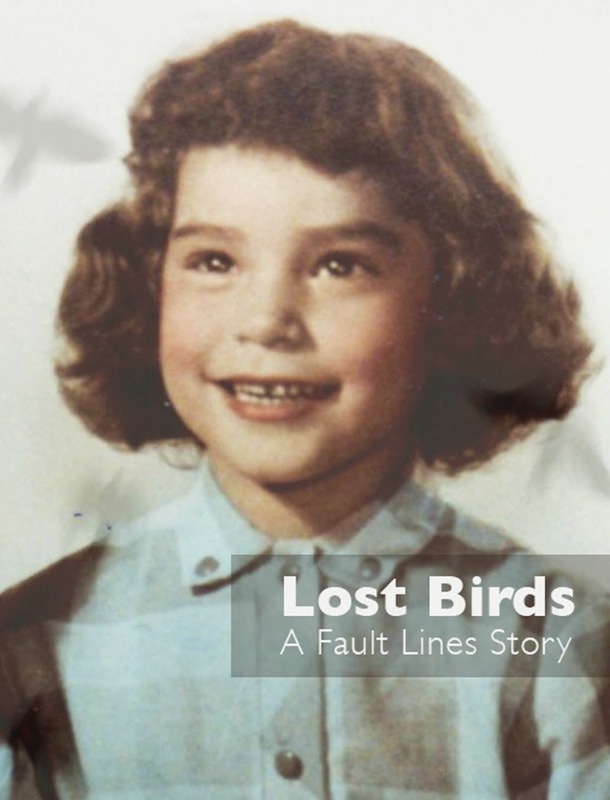 What was said briefly: If the adoption lawyers had paid attention to the federal law called the Indian Child Welfare Act of 1978, this case never would have happened, if lawyers had followed the law -- and Baby Veronica would have been placed with her father (or a member of his family since he was serving in the military at the time of her birth.) The natural mother in this case also didn't respect (or was ignorant about) existing federal law when she went to relinquish her newborn and chose adoptive parents. Sovereign Tribal Nations have the right to control where their children are placed (via adoption) because of ICWA (and the history of removals of children) but some states and non-Indian lawyers do not respect or know ICWA. I was thinking about what Veronica will think about this when she becomes an adult. If she is like me, she will be grateful that her father fought for her and gained custody. It's not that I don't understand how the adoptive parents are distraught and wish her back. They need to realize Baby Veronica is a member of a tribe by birth, and with existing ICWA law, she should be raised by a member of her birth family or tribe. 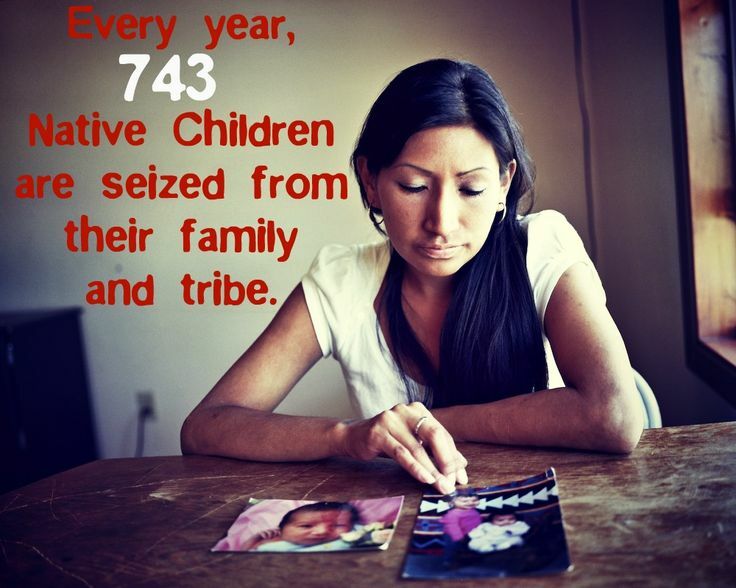 Why ICWA is important: Every child is the future of a tribe.